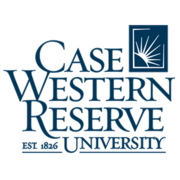 Case Western Reserve is a leading national urban research university committed to imagining and influencing the future. Our alumni include the inventor of the Nike Air Sole, the developer of Gmail, founders of Fortune 500 companies – and thousands of others who contribute enormously to society every single day. Be a Leader, Develop a Leader via Coursera 4 weeks long 4 weeks long 3rd Jun, 2019 No reviews yet. Leading Positive Change through Appreciative Inquiry via Coursera 6 weeks long 6 weeks long 15th Apr, 2019 No reviews yet.